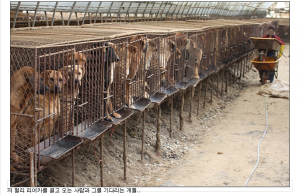 Below is Jangseong’s response to our petition: Jangseong, South Korea, Shut down the illegal dog meat farms, slaughterhouses and markets. 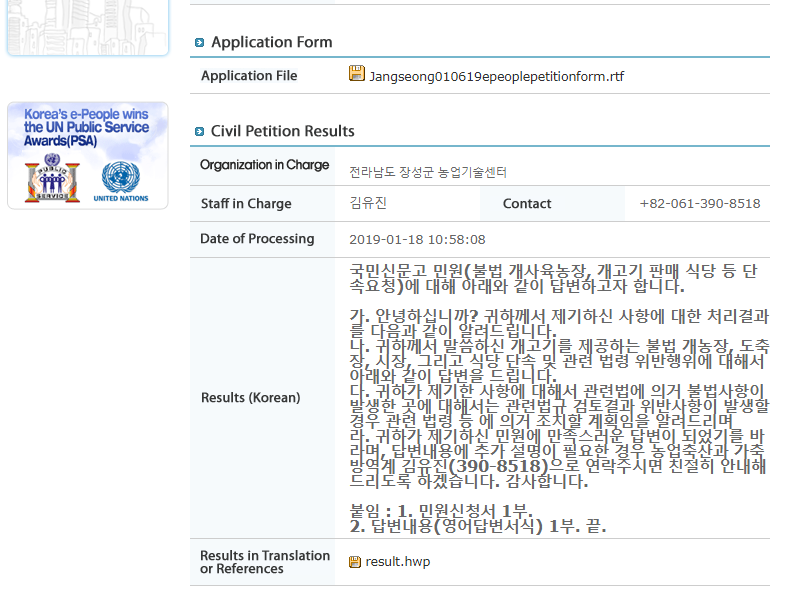 The file they attached as English translation of their response is blank. We would like to inform you that if any violation is found as a result of review of relevant laws and regulations, we will take measures in accordance with the related laws and regulations, etc. You are disgusting, you lie…you have lost face in all the countries of the Free World…SHAME on you, you have dishonored South Korea. I am urging my family and friends and neighbors to BOYCOTT ALL SOUTH KOREAN PRODUCTS…..AS LONG AS IT TAKES to defeat this ignorance and cruelty.